Sleep is more important to the health of every creature especially to children as it directly impacts mentally and physically to their rapid growth and development. The importance of sleep cannot be overemphasized in children in that research has shown that they should sleep at least approximately 50% throughout their infant state of the day. When infants are deprived from sleep, the chances of being affected in terms of behavior, social skills maturity, psychologically, emotionally, energetically, educationally maturity is much higher and farther reaching than that of the adult. Studies has shown that children who sleep less than 10 hours are likely to be three times likely to be obese while growing. When this good sleeping time is taking into consideration, their mind and bodies is definitely going to function properly. To help you as a parent, it is good to know the seven reasons why your baby needs sleep to thrive with the good bed times. 1. Help growth: While sleeping, the body produce a very good hormones and chemicals that is beneficial to the body system at the right time. There is very strong relationship between sleep and hormones which keeps the body growing and stronger. 2. Aids physical health: Infants with sleep disorder are not always having a good health status according to research, increasing the chance of having medical attention. Sleep helps the tissues, increase body muscle mass, maintains a strong immune system and gaining weight of the body system. 3. Regulate the emotions: Sleep helps disrupt emotional imbalance resulting in brain to function properly while growing. The neural mechanism that tampers with emotions in children has been identified as lack of improper sleep, increasing anxiety. 4. Sleep boost learning: It has been shown according to studies that babies who had good sleep has better cognitive scores and consolidation of their memories while growing. 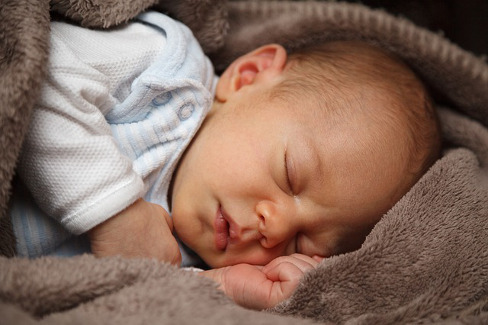 A baby may seems asleep throughout the night, but their brain is functioning throughout the process of sleeping which as a result aids their learning process day by day as they grow in the environment. 5. Boost activeness: When babies have an awesome sleep and nightmare, they will be more alert and happier during the day. As a woman who gave birth, you can also help your baby to improve his/her activeness by establishing the best calm bedtime and sticking with it during the day as well as comfortable sleeping situation. 6. Decrease injury risk: Poor sleep time for babies expose them to high chance of being in injury risk while they attain school age which will require good medical attention. Reduce this risk by calming your baby to sleep at the appropriate time duration. 7. Sleep helps decrease germs: When babies have poor sleeping time, the quantity of proteins also known as cytokines produced in the body is reduced simultaneously (which the body depends on to fight the body infection, stress and illness) resulting in inability of the body to fight against some infectious attack. In effect, the chance of having germs will be reduced if accurate sleeping time is maintained. 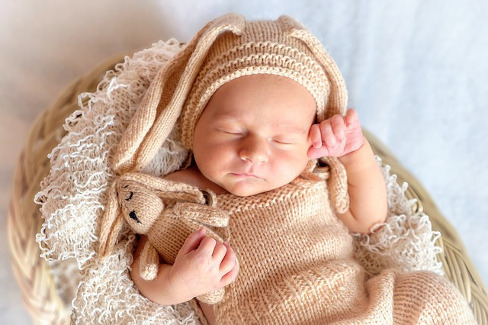 Based on the above reasons (growth hormone, healing tiredness, active brain, secretion of melatorin, raising susceptibility), as a parent, it is important to ensure your baby get the correct amount of sleeping duration to ensure that his/her development is not affected. Kindly get help from the application to make the baby feel comfortable by using out sound cradle app which has a lots of favorite sounds installed. Please put your smartphone in a place far away from your baby and use it without using earphones.